Dave and Jackie extend a warm welcome to all guests. 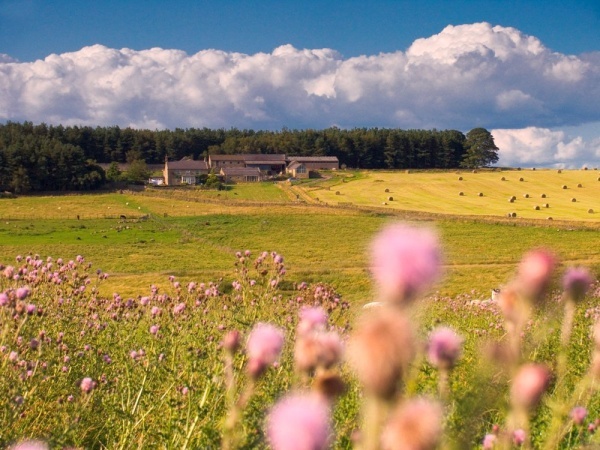 Our farm is a 600 acre working hill farm nestled in the National Park. We have a small flock of coloured Ryeland sheep. 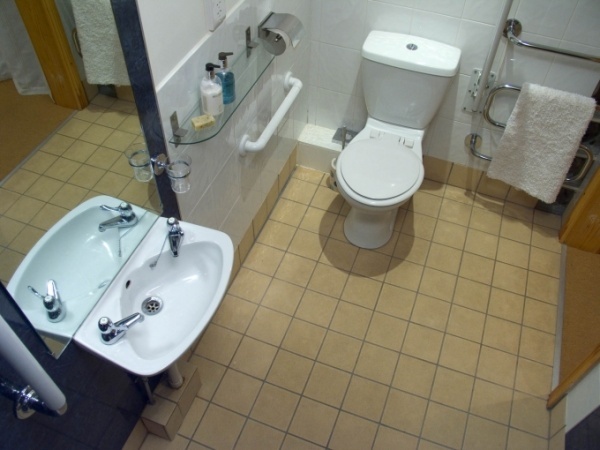 We aim for excellence and quality and offer 3 cosy and comfortable bedrooms with en suite facilities. One bedroom offers a comfortable king size bed, and the other two bedrooms can be made up as twin beds or super king sized beds. 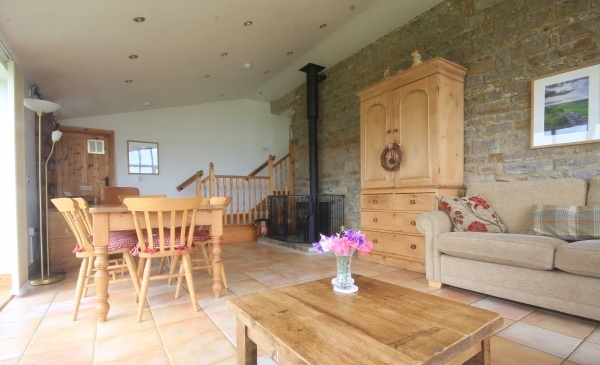 This cottage has a wood burning stove and underfloor heating. 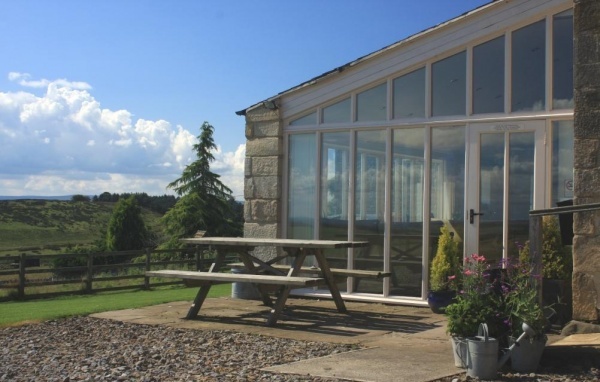 Relax and unwind with unbroken views of the Tyne valley. Nothing but wildlife to disturb you and still close to local amenities, Hadrian Wall World Heritage site and Northumberland National Park. The local town of Hexham offers great food, family activities and easy access to Newcastle. The surrounding area has a whole host of wonderful family friendly pubs and restaurants to treat your brood to a great meal. It is an ideal base for touring. We are within 1 mile of Hadrian's Wall and we are less than 1 mile from Cycle Route 72. Why not walk the wall from our central location or check out the cycle routes suitable for all abilties. You won't be bored at Grindon Cartshed. We offer the essential secure cycle store and drying facilities. Wifi available and well behaved pets welcome. 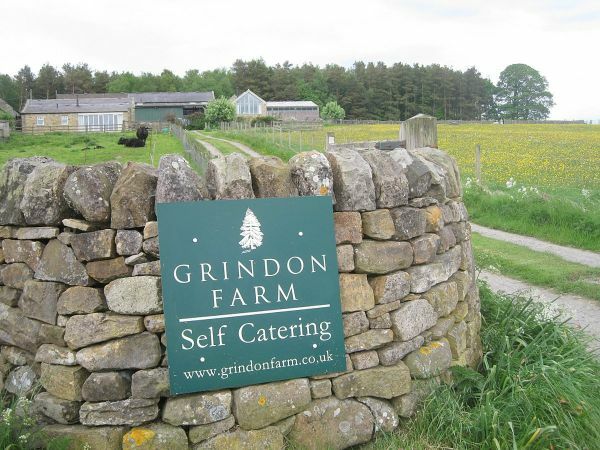 We visited Grindon Farm for a break in Feb 2017. We have already booked for 2019. The place is fantastic. The views are spectacular and the snow did not detract from that. Our son was studying the Romans at school and with Hadrians Wall just up the road, History came alive. The disability access is literally second to none and I would say to anyone. If you age not been here yet, you are missing a absolute gem. The people are friendly and our children loved the holiday and there was not an x box in sight. Brilliant. my wife,my sister and i enjoyed 5 days at the cartshed in early feb with snow flurries and rain and loads of sunshine. there is a lovely coal burning stove with keeps the property really warm. the underfloor heating actually kept the property more than warm enough so if you forget the stove ,it is still cosy and warm. the views are stunning and the place so tranquil and special -it really restores the soul to enjoy the special air and space that is northumberland. the roman wall is just round the corner and the drive along the military road is a pleasure in itself. we went over the moors to blanchland enjoyed super food at the lord crewe arms- down by the river at plankey mill and then over to where the south and north tyne meet. hexham abbey - a must to visit and so on and so on. the hosts at grindon are lovely warm people and honestly i hate to say it is quite difficult to get a booking because so many people want to stay there so i reluctantly tell you about this jewel of a place- surrounded by views and sunrise and sunsets and sheep and two hens and the owners 3 very friendly labradors but most of all the peace and quiet that restores the soul. 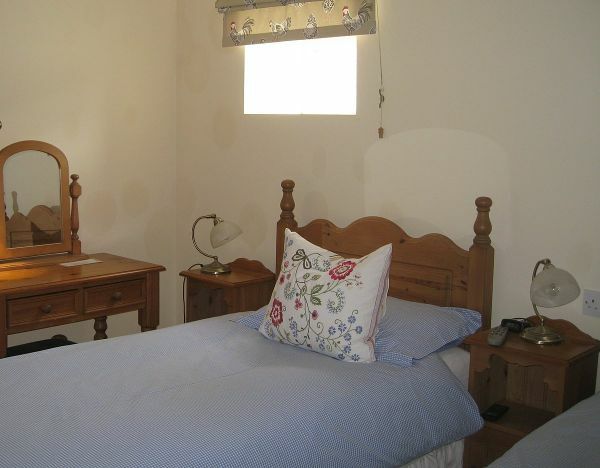 This is a very cosy, if a bit small, three bedroomed converted farm property. The three ensuite bedrooms are separated from the living area and the layout works very well. The underfloor heating and the solid fuel burning stove contribute to a very pleasant environment, even on the coldest of days. The kitchen is well equipped and the television and Wifi are reliable. The location is very rural but with good access roads and within travelling distance of Hexham, Carlisle and Newcastle. Ideally situated for exploring Hadrian's wall. The owners are very helpful and unobtrusive. 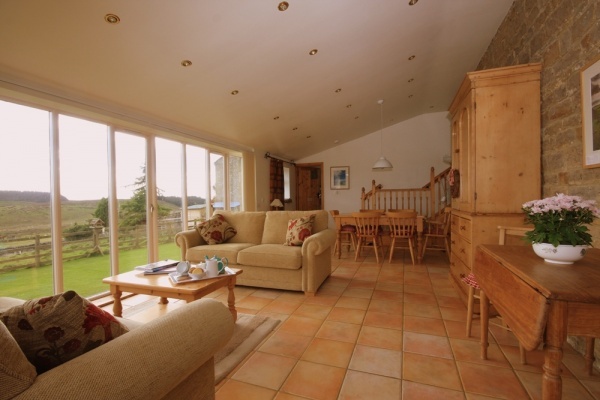 This is an amazing barn conversion with beautiful views of the surrounding countryside. The owners were very welcoming and the homemade cake and bubbly went down a treat! We loved the chickens and the location was excellent and within easy reach of Hadrian's Wall. Thank you Jackie and David for a lovely relaxing holiday!